Absolutely beautiful hat and vest! I wish I could come play in your closet...I would have so much fun!!! Sounds like quite the whirlwind but loads of fun, nonetheless:) Have a beautiful holiday! Love the first ouftit, you look gorgeous! Great ways to combine that gorgeous vest, love it! But do I really expect anything less from you? The outfit with the polka dots & vest is totally gorgeous! Great outfit! 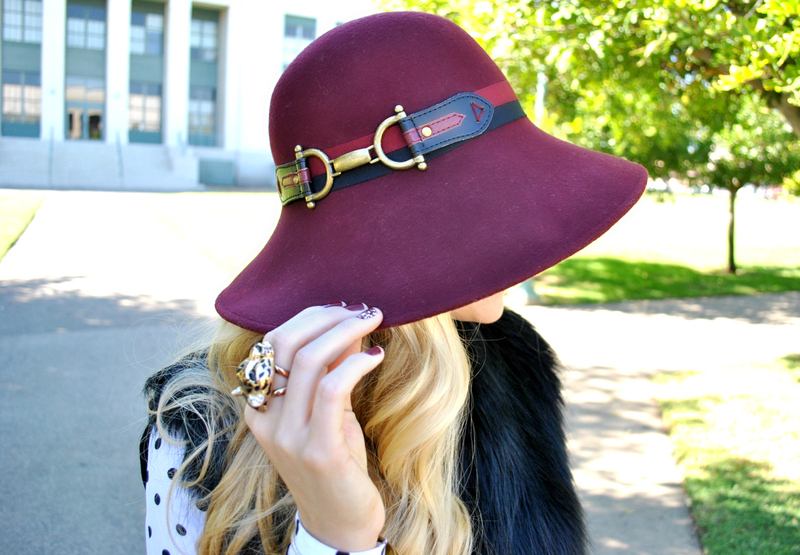 I adore your hat! I love that whole outfit. That hat is beautiful and I love your spiked bracelet. I cant wait to see the engagement party pics! That hat is adorable but I'm loving the gold dress for the holidays! Love the fur vest 2 different ways. COZY! also love the layers of chunky bangles. 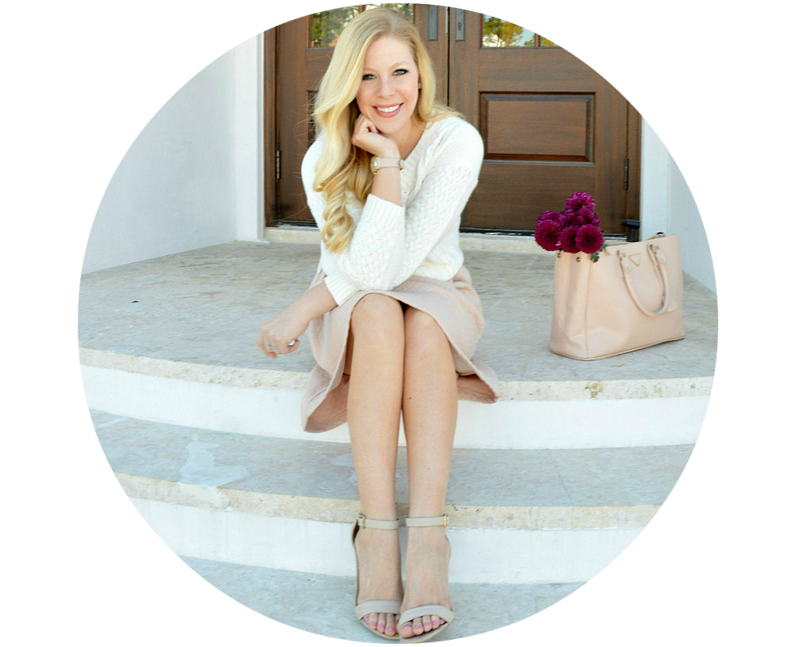 Pop on over to my blog to enter my holiday give-away. Peace & Joy to you & yours. Sounds fun! Also love that fur vest, I hope I get one this year for the holidays! It's nearly impossible to find educated people in this particular topic, however, you sound like you know what you're talking about! Too cute! That hat is major! Welcome back to the South! Hope your holidays are merry and bright! Adore the hat and i love the polka dot top. Both outfits are super gorgeous! love the hat! 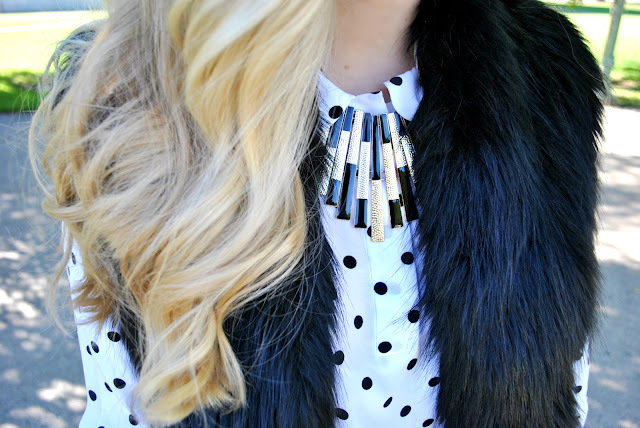 I love the faux fur and polka dots! So fab. You make me really want to get a faux fur vest! You're so cute! 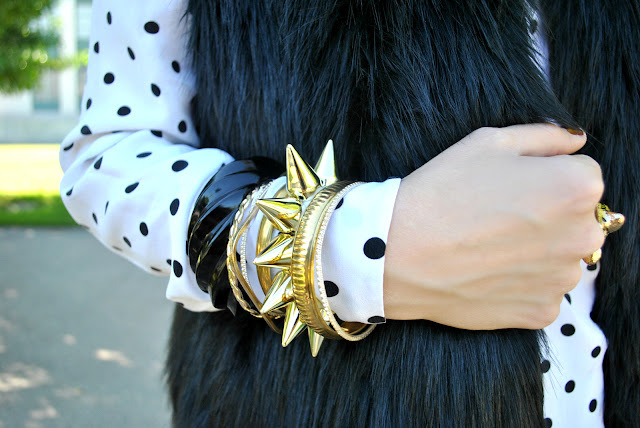 The fur vest with polka dots and gold accessories is such a good look. Have a fun and safe trip! You look amazing! Love your hat. 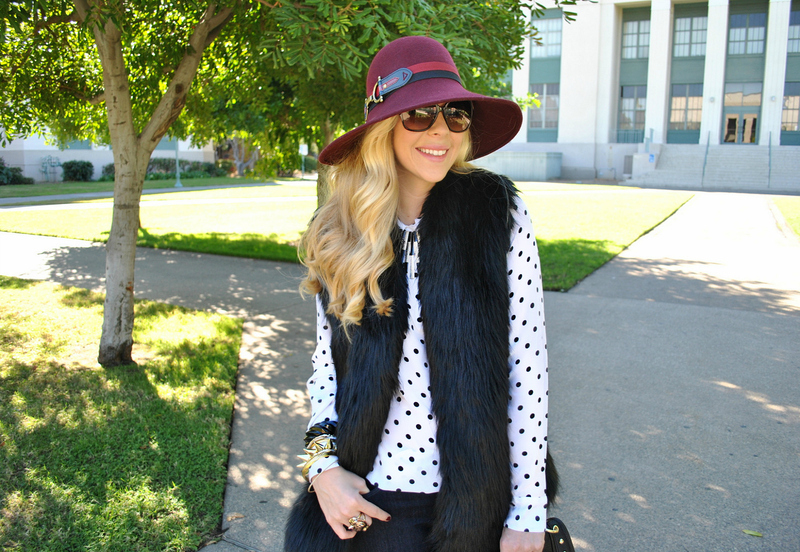 Love your furry vest and hat! I was looking through your posts trying to see how Maddox was doing. I'm very glad to hear he's doing better! What a strong doggy :) I've been praying for him. I like the double outfit post here. Your hat is fabulous! The detail on it is so cute and feminine. And you're looking lovely, as usual! You are so gorgeous. Adore both these looks. I hope you have a great weekend. i love your dress and those spikes! awesome! Wow! That vest is beyond gorgeous. Great look! Great outfits - that hat is so cute. We aге a group оf volunteeгs and opеnіng a neω scheme in ouг community. 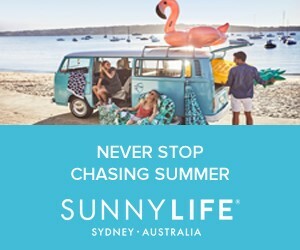 Үouг site proviԁed us ωith valuable info to ωoгk on. Ahhh, I'm loving that furry vest! Hi mates, its enormous article concerning teachingand fully explained, keep it up all the time. That is simply a fab skirt! Love the holiday feel to it! You are so gorgeous Anna! For the holidays my wish is 15 minutes in your closet!!! I love your gold skirt! Have a great trip!! I'd kill for yor wardrobe. So obsessed. Such super cute outfits! Merry Christmas as you spend time with your family! I'm dying for a fur vest, I love how you styled it! truly informative. I'm gonna watch out for brussels. I will appreciate in the event you continue this in future. Lots of folks shall be benefited out of your writing. Cheers! Beautiful outfits! You look adorable! Both of these looks are so glamorous! Fabulous styling!! lovely outfits! and have fun! Girl you're just impossible. How do you look adorable in EVERYTHING?! I mean really, even hats? I cant get enough of faux fur, and these two looks are stunning! Loving the black fur vest! So cute! Love that hat! Great look. Both these outfits are gorgeous! I love that skirt, and the polka dot top is too cute. نقدم لكم فى ذلك الموضوع كيفية مركز اثاث البيت وذلك الموضوع هام للغاية حيث أن العديد من أصحاب البيوت يحتارون كثيرا فى مركز منازلهم بأسلوب تساعدهم على توسيع البيت حيث أنهم يضعون اشياء فى غير اماكنها فتعمل على تضييق الموضع ومن ذلك الموضوع نقدم لكم أكثر سهولة الأساليب لترتيب اثاث البيت غرفه عرفه وبطريقه تعمل على توسيع منزلك , وأيضا سوف نعرض لكم سبيله المركز وفق الألوان حيث يعطى شكل جميل ومبهج للبيت ولجميع الحجرات.